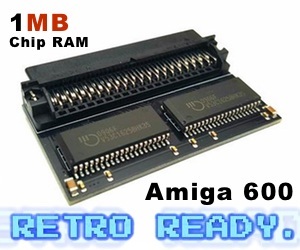 Need more space for your Kickstart ROM for Amiga 500 and Amiga 600? Kipper2K just released this news about Kickstart ROMs for low end Amigas that can 1MB each. Kickstart v3.1 40.72 is supported! John “Chucky” Hertell, which I have been visiting many times! (Thanks for recapping my Amiga 600 and Amiga 1200!!! Works fantastic!) for allowing Kipper2K to use his awesome diagnostic rom image. He wishes that $1 will be donated to charity for every ROM board sold that contains his DIAGROM image. Which is what is going to happen. 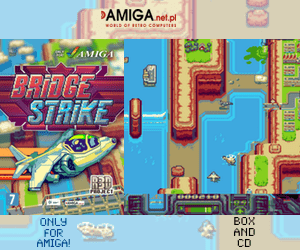 The DIAGROM contains 2 kickstart images that is in total 1MB in size, that fits into the Kickstart ROM slot of both Amiga 500 and Amiga 600 as I understand. The pins of the Kickstart ROM are however very fragile. You need to be very careful not to bend them as they could snap. It is possible to straighten them again like with any Kickstart ROMs by very slowly straightening the affected pin though, but this work kan lead to total fail if you don’t do it correct. If a pin does break off, they are fairly easy to replace for the average Amiga hacker like Klipper2K or John Hertell. So, Please do ensure that you do insert the ROM in the correct direction. The ROM is marked with the label PIN 1 and also the pin 1 marker. 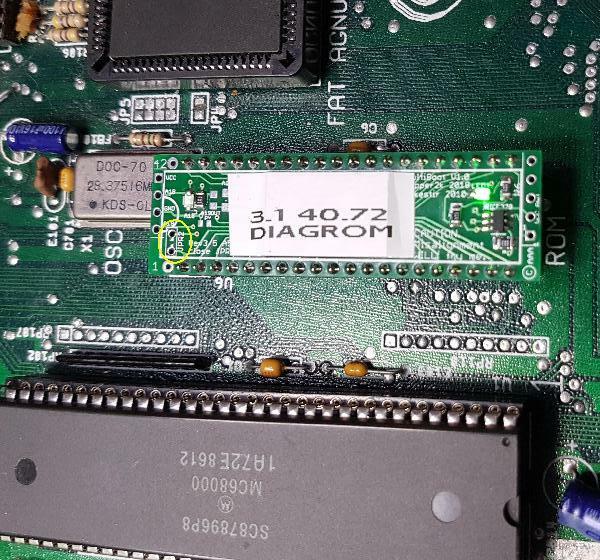 This DIAGROM have the possibility of containing up to 4 x 512KB ROM images, when supplied with a bigger Flash ROM on board. If you would like this done then let Kipper2K or Hertell to know, but bear in mind that you would have to send the the images and both says that they are both very busy. The ROMs can cycle through all 4 images with the warm reset as with the 2 ROM image. Anyone with a ROM burner can do this though. You can get one on Ebay, like this one here. Thanks to Hertell for that information! Now, the question is what can Kipper2K do to take his projects further? With so many projects going on. He really needs someone to help him as it would give him some more breathing cycles. What you are doing for Amiga community is Excellent! But to be able to make your products alive, you deserve to get the help for it. Kipper2K also got plans for Amiga 1200 version? 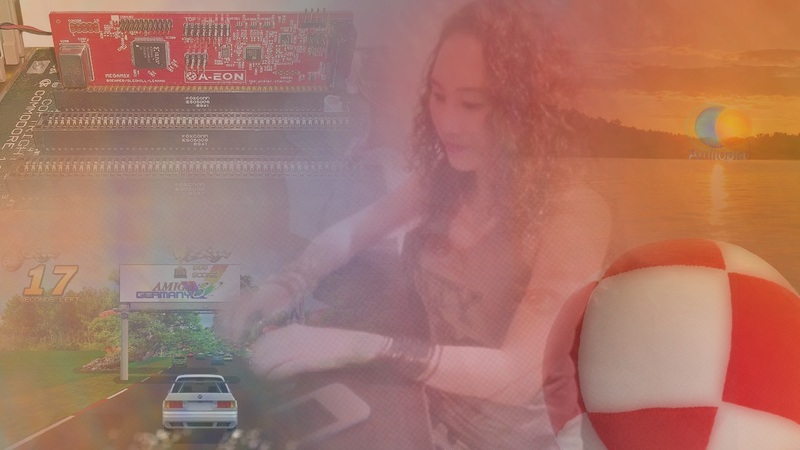 … Amiga community is always interesting and this project shows dedication and love.